Alicia Dawson is a real estate broker with Alicia Dawson Real Estate Group; Kerry Williams is the founder and CEO of Beacon Systems. Real stories from Dallas' overheated housing market. The Homeowners: Alicia Dawson is a real estate broker with Alicia Dawson Real Estate Group; Kerry Williams is the founder and CEO of Beacon Systems. The Hunt: After getting engaged last year, the couple decided to consolidate households. Kerry, who had lived in Colleyville for nearly two decades, volunteered to move to Dallas to be closer to Alicia’s work. They started looking at houses in University Park, Devonshire, and Bluffview, but Alicia knew that because of the tight market, they couldn’t make an offer until Kerry’s house was under contract. The Deal: Kerry found a buyer for her traditional house, furniture and all, then things got serious. “We almost bought a house at Preston and Boca Raton,” Alicia says. “It was a Mediterranean on a great-sized lot, but it needed a lot of work.” Instead, they zeroed in on a modern farmhouse under construction by LRO Residential. They made an offer within a couple of days and closed so quickly that they were able to customize some of the finishes. “We love the area,” Alicia says. “It has lots of trees and we’re right by the park, perfect for Louie and Fergie, our English bulldogs, and Lindy, our Pomeranian.” Sadly, the bulldogs were too plump to be held for the photo. 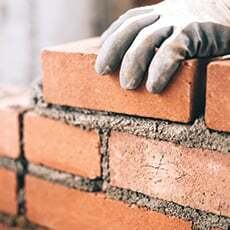 The Homeowner: Adam Hollins is a premium sales executive at American Airlines Center. The Hunt: Hollins bought his fixer-upper in 2006 and did several major remodels over the years. 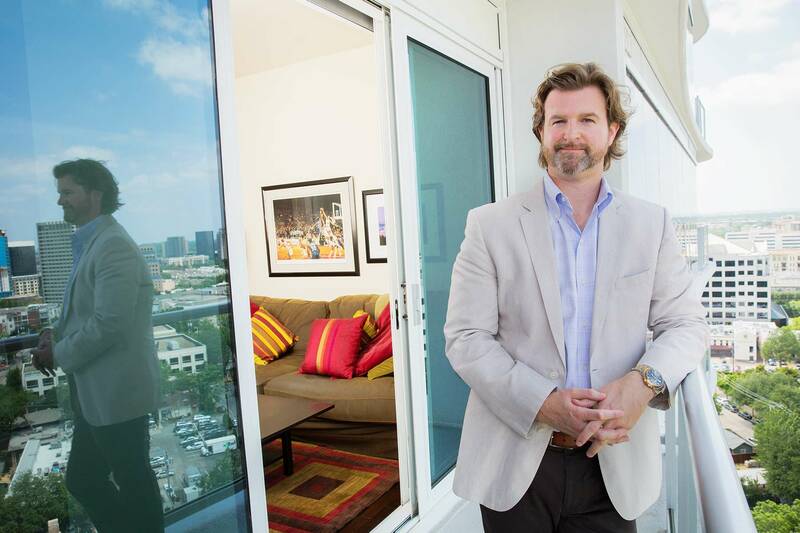 Hoping to make a profit while it was still a seller’s market, wanting a change in social scenery, plus the possibility that he might soon leave the city—all prompted Hollins to set his sights on luxury rentals near downtown. “I thought I’d live the best life in Dallas while I still can,” he says. The Deal: In late February, Hollins toured several high-rises, but the brand-new One Uptown building won him over with floor-to-ceiling windows on all outside walls, wraparound decks, walkability to Whole Foods and his work, and, most important, a relaxed policy on breaking a lease. Hollins gave away most of his furniture and began enjoying his new view within a week. The Homeowners: Cantrell Thomas owns a tax consulting firm; Tracee Thomas is a corporate attorney. 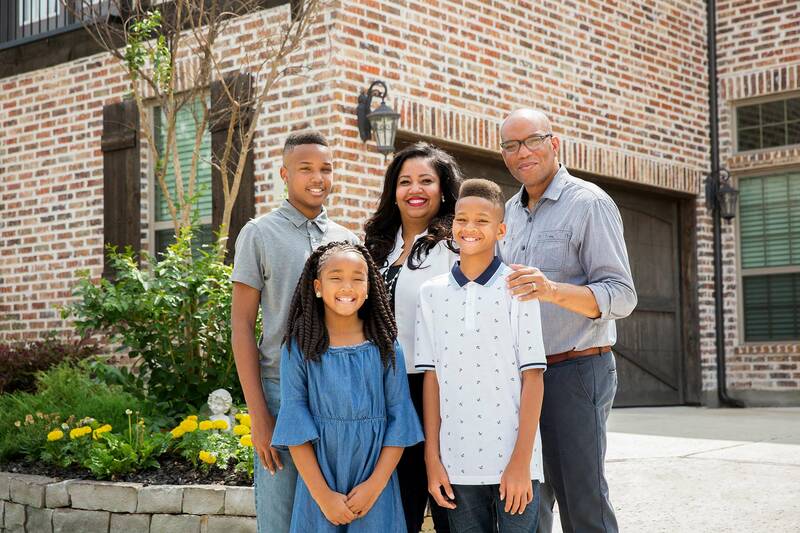 The Hunt: The Thomases had long been eyeing the newer subdivision cropping up across from theirs, and then they had a greater reason to move: the high schools were rezoned, and they wanted to keep their oldest son at Independence. 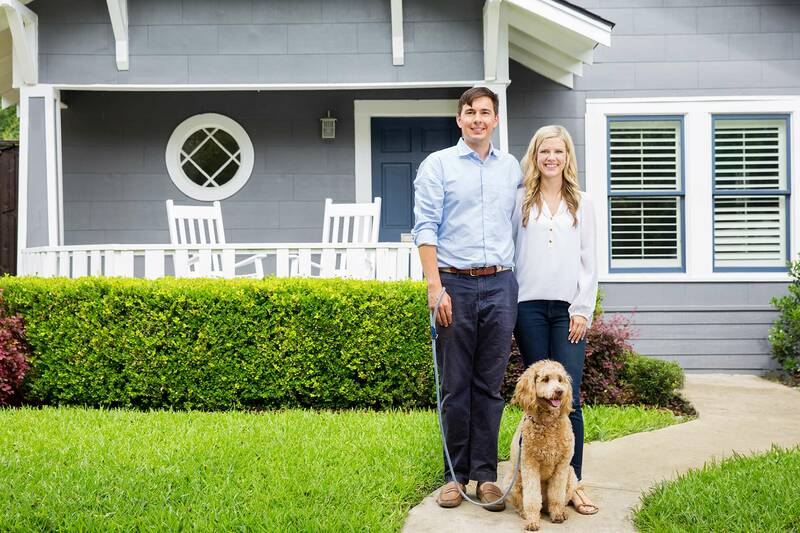 The Homeowners: Josh Espinosa is an attorney; Maddie Espinosa is an inventory planner; Buckley is a goldendoodle. The Hunt: The Espinosas were laser-focused on finding a starter home in Kessler Park. “It’s family-oriented and neighborly,” Maddie says. “Families are out on their front porches, and kids are riding around on bikes.” After thinking about homeownership for a couple months, the Espinosas called their real estate agent, Taylor Johnson, to let her know they were getting serious. She sent them a handful of open houses, including a cute Kessler Park two-bedroom. The Deal: The house was put on the market that Friday, the couple drove by it Saturday, and they went to the open house that Sunday. They were immediately taken. “Our Realtor did a lot of research,” Maddie says. “Homes in the area don’t stay on the market very long and we wanted to go in strong.” On Monday, the Espinosas offered $1,000 over asking, and when the sellers accepted the following day, their house hunt came to a quick conclusion. The Homeowners: Jacob Haldeman is a broadcast graphic designer and training coordinator; June Haldeman is an e-learning trainer. The Hunt: The Haldemans’ tale is a whopper. 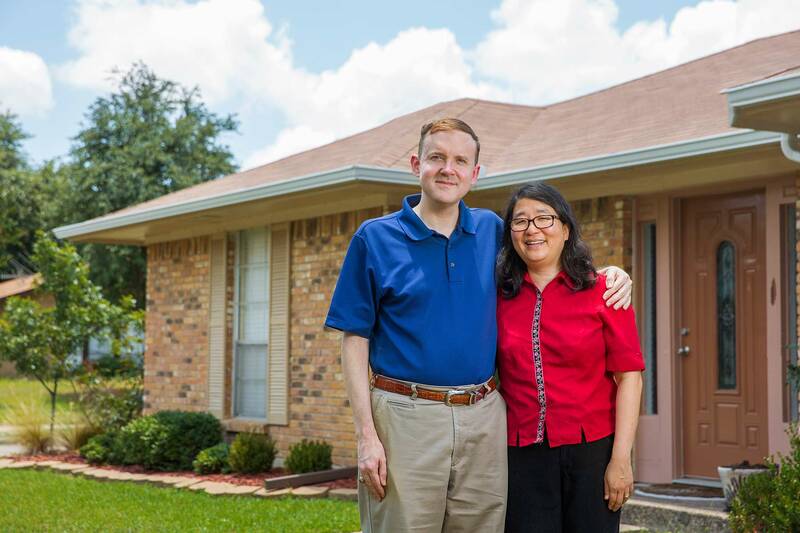 Beginning in October 2015, the newlyweds saw 174 homes all over North Texas (even as far north as Little Elm), and wrote 21 offers and three backup offers. “There were more than a few times we would like a house and by the time we got back to the car, we would find out there was already a cash offer on it,” Jacob says.